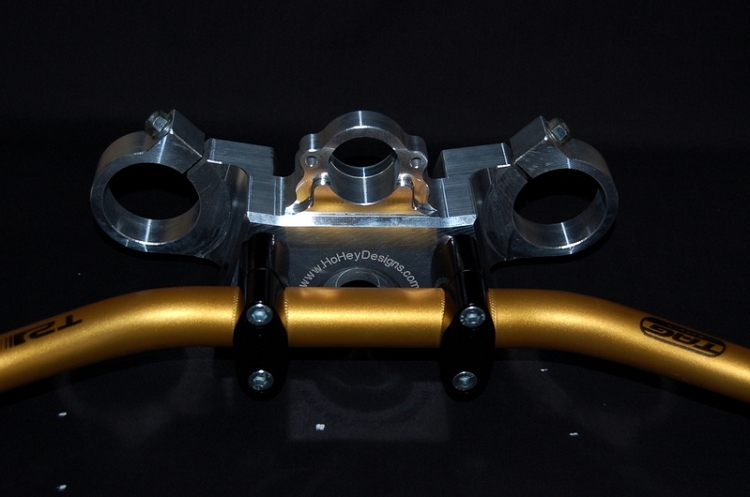 The HoHey Designs top triple clamp is just what you need for your bike. 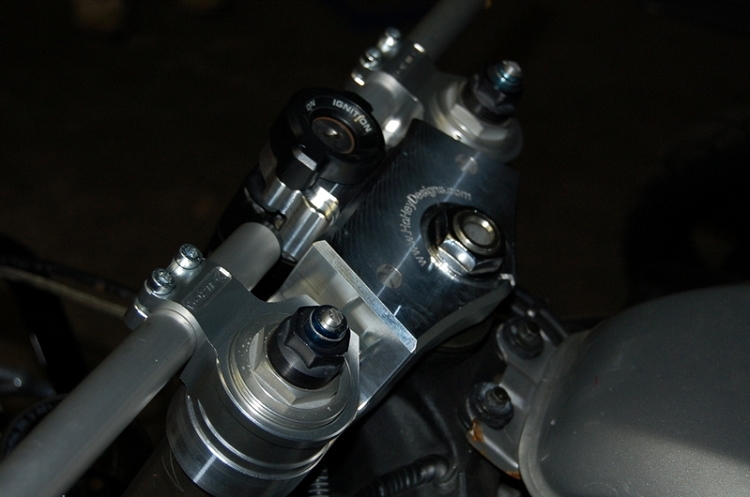 Designed for and tested by stunt riders around the world. 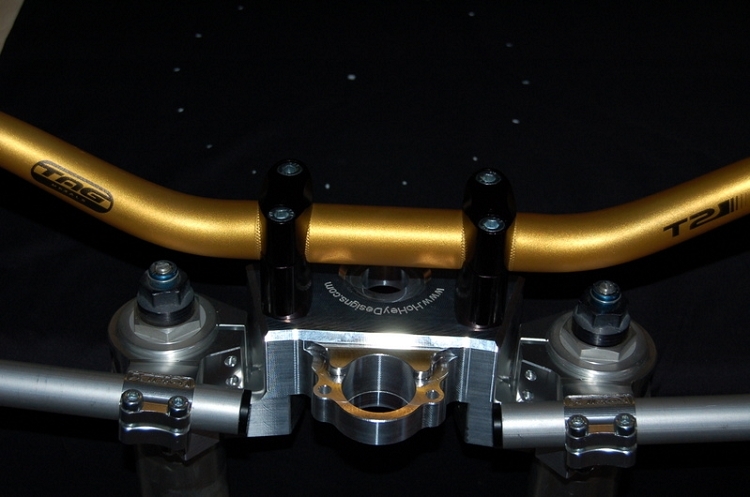 Not only is it one of the best functioning triples on the market, it's CNC machined finish is outstanding. 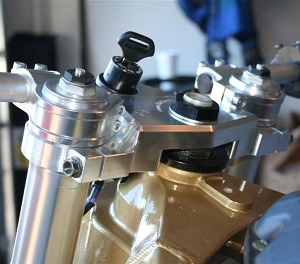 Get the advantage of running clip ons or dirt bars depending on your preference.